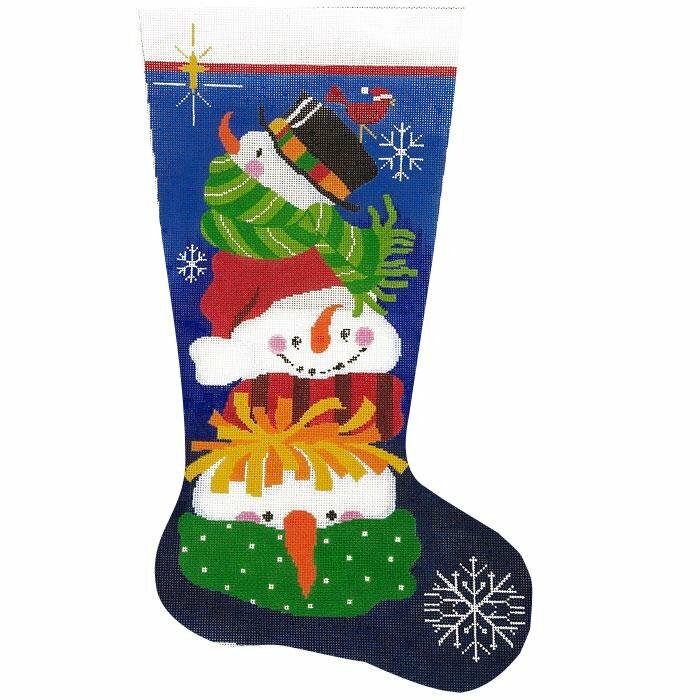 Adorable needlepoint canvas from Colonial Needle Company depicting three whimsical snowmen on a stocking. Measures 13"wide x 23" high on 13 mesh canvas. We would be happy to choose needlepoint threads for this project. If desired, please leave a note asking us to do so along with a phone number where we can reach you. We will call you to place a separate order for your threads!